Microsoft discovery signals a big step forward for AI and machine translation, but it is still no match for the translation industry as a whole. LOS ANGELES, CA – Apr 10, 2018 – In March of this year, researchers from Microsoft announced their groundbreaking new discovery—a system that machine translates news stories from Chinese-to-English at a level comparable to that of a human. Remarkably, just one month prior to this, in an unrelated incident, U.S. billionaire Ray Dalio spoke at an event in China with the aid of machine translation, where per a LinkedIn report, the presentation was plagued with glaring translation errors. With conflicting stories of technological advancements and linguistic setbacks, it’s hard to assess where things truly stand with machine translation and AI. So far, though, it appears that despite the many technological advancements spurred by artificial intelligence, with regard to the translation industry, AI still has a long way to go. 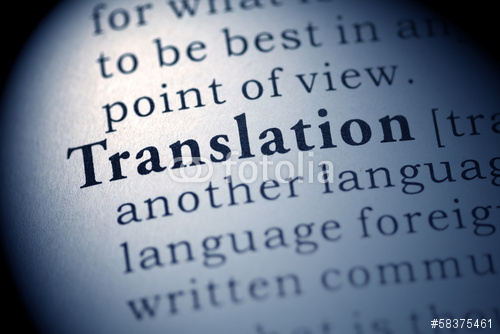 Attempts to improve machine translations through AI have been noteworthy overall. In November of 2017, it was announced in a Science report, that artificial intelligence is no longer reliant on humans or dictionaries when translating from one language to another—a discovery based on two separate studies by a Facebook research team and researchers from the University of the Basque Country (UPV) in Spain. Google also announced its own breakthrough in November 2016—a neural machine translation system (NMT) where translations are based on comparing previously translated texts and reviewing entire sentences instead of the individual words. In fact, the potential for artificial intelligence to dominate various industries seems to be a growing concern for many leading critical thinkers—from Tesla founder Elon Musk who, according to a 2017 CNNMoney study, called AI a possible “danger to humanity,” to former Secretary of State, Hillary Clinton, who per a Business Insider report declared this a phenomenon for which we are “totally unprepared”. In 2014, even the late physicist Stephen Hawking dramatically stated in a BBC interview that the “development of full artificial intelligence could spell the end of the human race,” potentially replacing humans “altogether”. While AI advancements have the potential to affect numerous industries, the current approach to tackling machine translations has been primarily technical, a naive choice considering translations are creative and intricate in nature, incorporating many cultural, regional and societal elements. In the case of Google’s NMT technology, a VentureBeat report stated that during a 2017 translation competition versus humans in Seoul, Korea, “about 90 percent of the NMT-translated text was ‘grammatically awkward’”. Consequently, it is not surprising that amid of the panic over AI, the translation industry continues to thrive. The American Translators Association (ATA) recently cited the U.S. Census, stating that from 2008 to 2015, the Translation and Interpretation Industry workforce grew nearly twice in size. And per the U.S. Bureau of Labor Statistics, this number is on the rise. Until researchers develop a more multifaceted approach to machine translations, the truth is that AI may never have what it takes to replace humans entirely. Be the first to comment on "Artificial Intelligence Advancements Struggle to Conquer the Translation Industry"